For the 50-exhibit, “Health Gallery: My Body Works” at Alabama’s Gulf Coast Exploreum Science Center, Perfect Prototype created a showpiece, augmented reality heart exhibit designed to fascinate adults and children alike about the human body as well as educate them on critical public health issues. 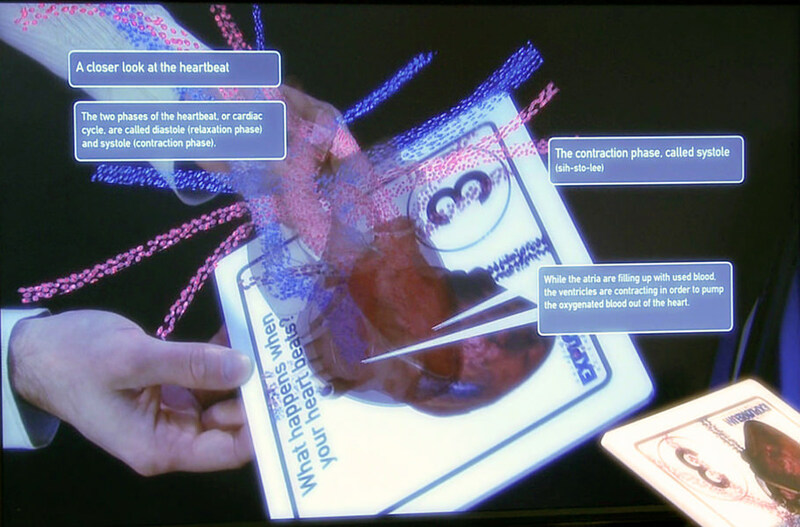 Additionally, a two-minute, animated presentation shows, at 1/12th speed, the electrical signals and blood flow through the organ during each of the four stages of a heartbeat. Perfect Prototype handled a wide range of responsibilities, from software design and technical development to content research and copy writing, and from 3D modeling and animation to software programming and installation of electronics. Additionally, Perfect Prototype helped design and install software and electronics for nine unique, health-focused exhibits totaling 17 kiosks, including a human anatomy sliding monitor and an RFID smart-card tracking system. The system monitored the activities of visitors in relation to 23 data metrics – Body Mass Index, for instance — as they moved among 12 exhibits. When finished, they print their activities report on check-out kiosks. Click here to learn more.